I'm so excited to finally be able to share this project with you. It seems like a long time ago that I started these blocks for the solids challenge. You never saw the results because I decided to submit the pattern to Fat Quarterly (a modern quilting ezine published quarterly). The pattern for this runner and matching placemats is in Issue 6, available for purchase now. I got an advance copy, and there are some great projects in this one. 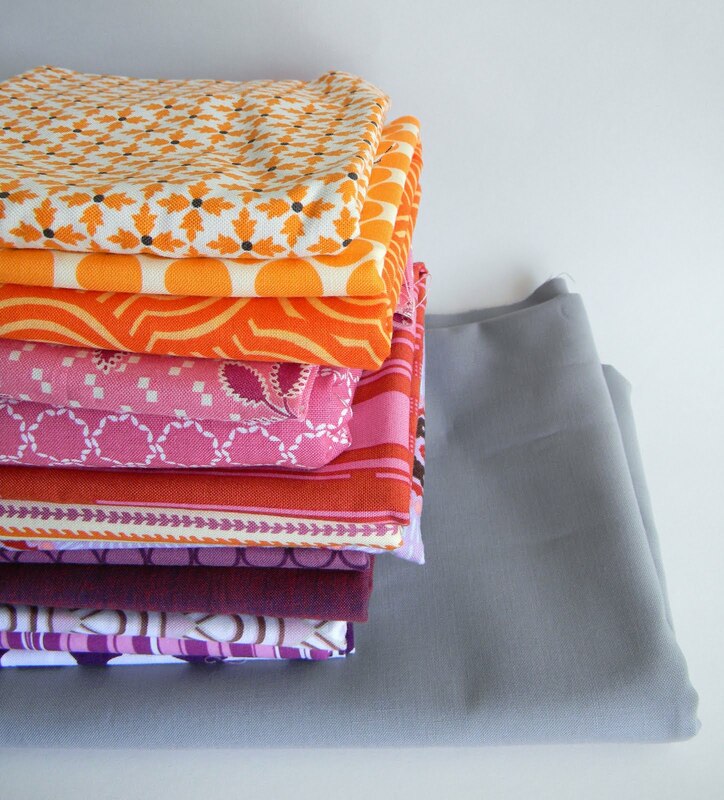 The issue is all about different substrates, so if you're interested in using voile, felt, linen or other fabrics, check it out! I paired kona solids, from a charm pack, with Essex linen cotton blend. It has all the texture and appeal of linen, but it's a bit easier to use. The leaf blocks are made with a combination of improv piecing and a template (that my tech savvy friend Lauren digitized for me - thank you!). I show you how to piece the curves and trim down the blocks for perfect squares. 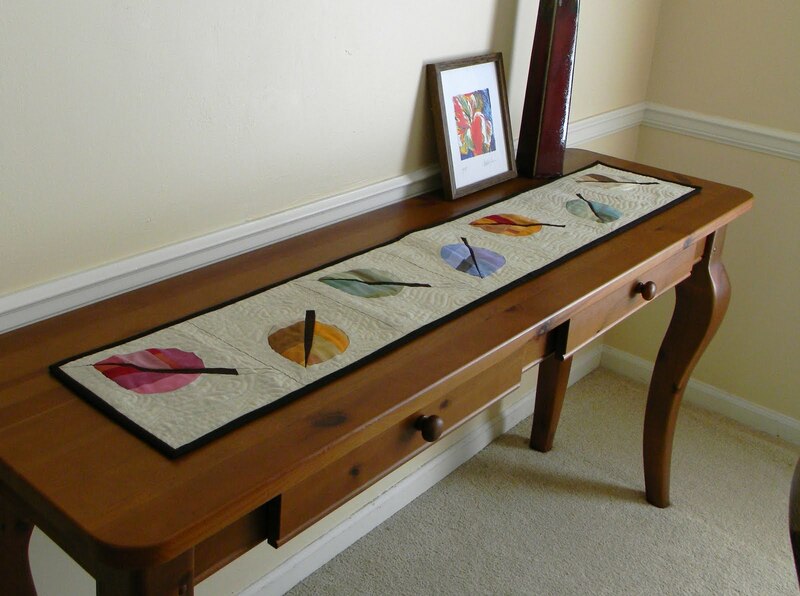 The gorgeous quilting on the runner was done by the fabulously talented Angela Walters. Doesn't it looks like the wind swirling around the leaves? I had a lot of fun creating the pattern. Please, let me know if you read it or try it out! I'm working on some teeny, tiny patchwork that will be part of a project I've promised to make for my boys. The squares finish at an inch. I'm getting a lot of "are they done yet?" So, back to work. 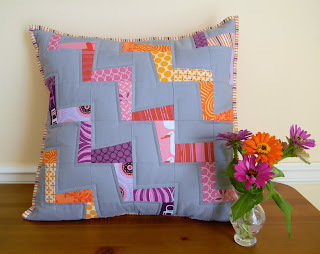 I used my happy stack to make this wonky zigzag pillow. It is made from a simple, improvisational block, arranged together to create a wonky zigzag shape. 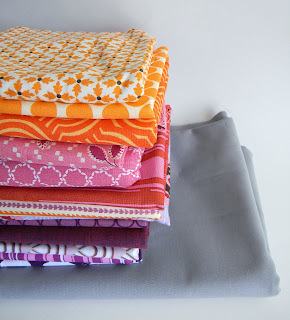 I’ve combined purple, pink, and orange fabrics with Kona medium gray for a fresh, modern feel. It is backed and bound with fabrics from Denyse Schmidt's Hope Valley line. 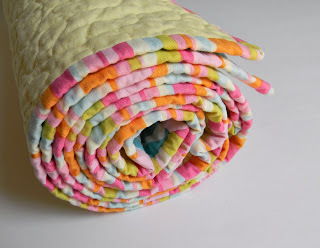 The striped binding fabric actually inspired the whole color combo. 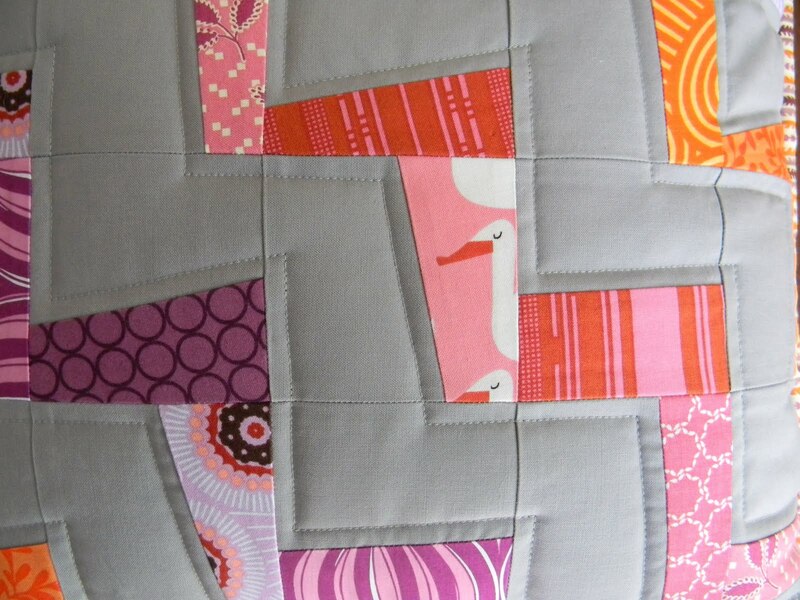 You can find other wonky zigzag quilts on flickr. 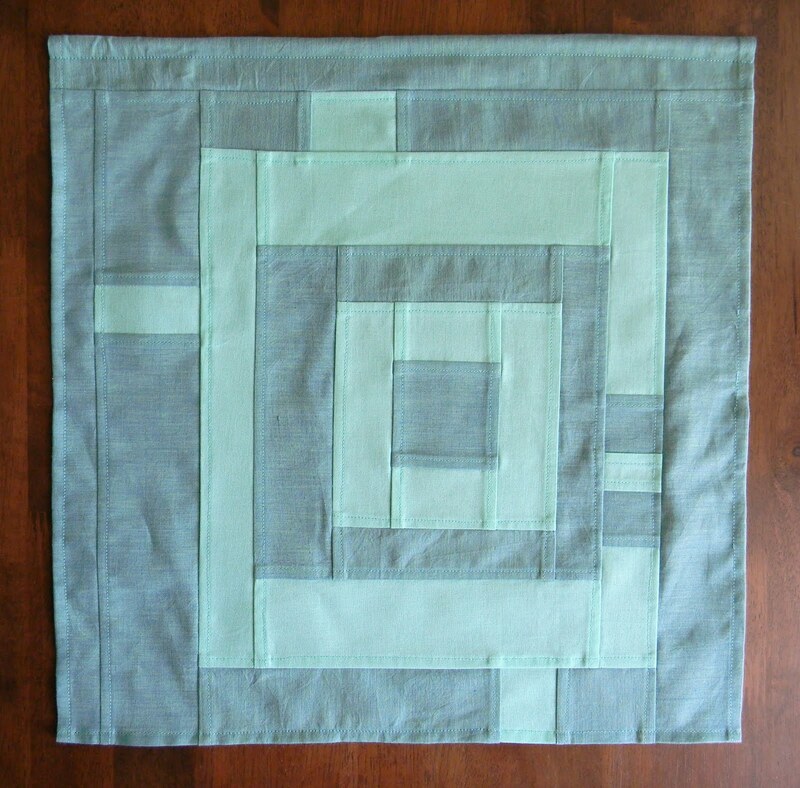 Tong created a lovely one using solids for the Robert Kaufman challenge, and Emily designed a gray and green pillow that inspired mine. 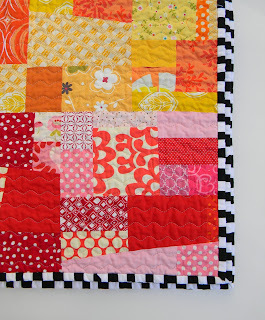 You can easily use charm packs and/or jelly roll strips to make these blocks. 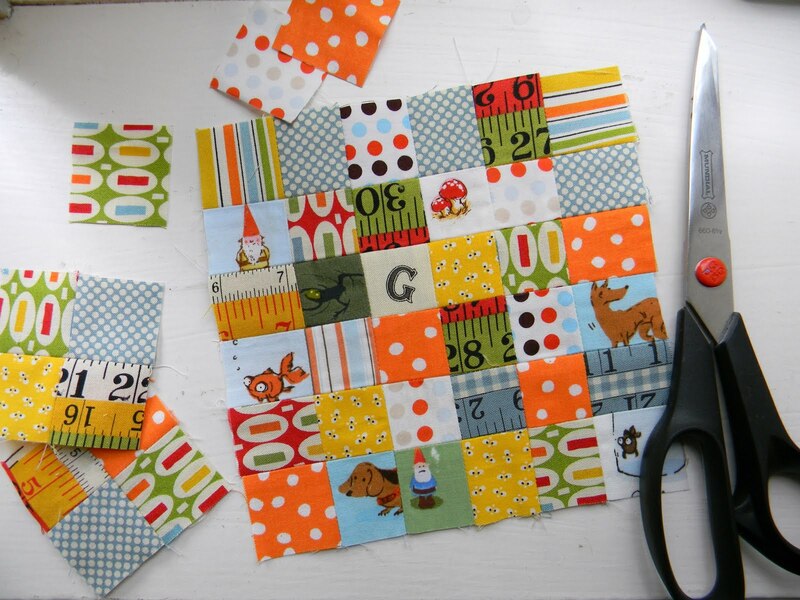 They are also a great way to feature your favorite scraps! 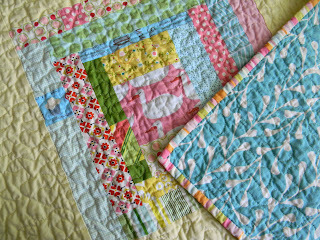 But if you just love this one, it is listed in my shop! 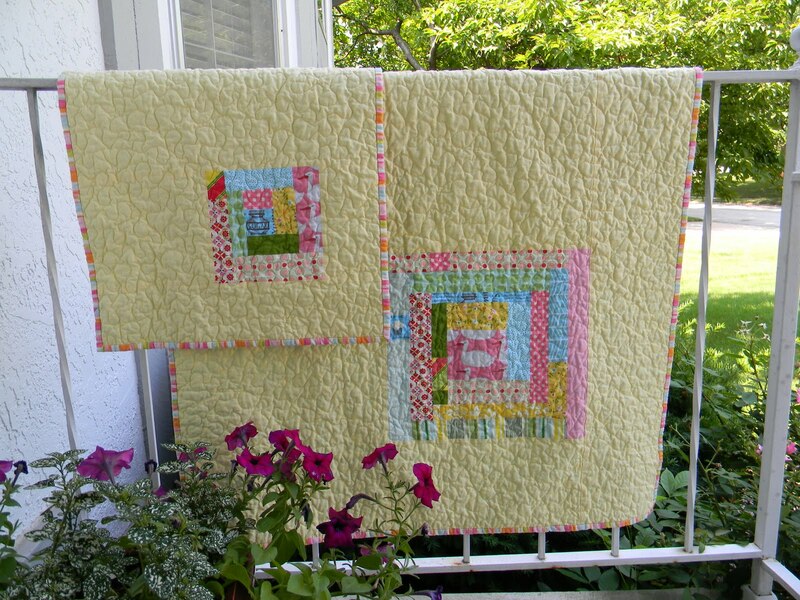 I first discovered pojagi, a traditional Korean style of patchwork, when my first child was an infant. At the time, I couldn't find any explanations of the technique in English, so I made an American hybrid for his baby quilt. I spotted some lovely examples of pojagi on a trip to Korea, but was still mystified as to how the seams were finished. Fast forward five years and there is lots of stuff available online, so I checked out SillyBooDilly's tutorial for creating pojagi on the machine. My friend Lauren and I used the second method (look for an amazing window panel from her soon), and it's pretty simple folks. 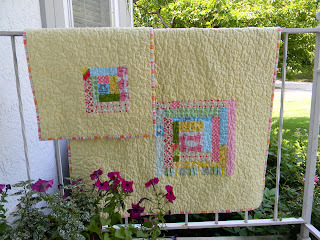 I used a moda solid and a cross weave. 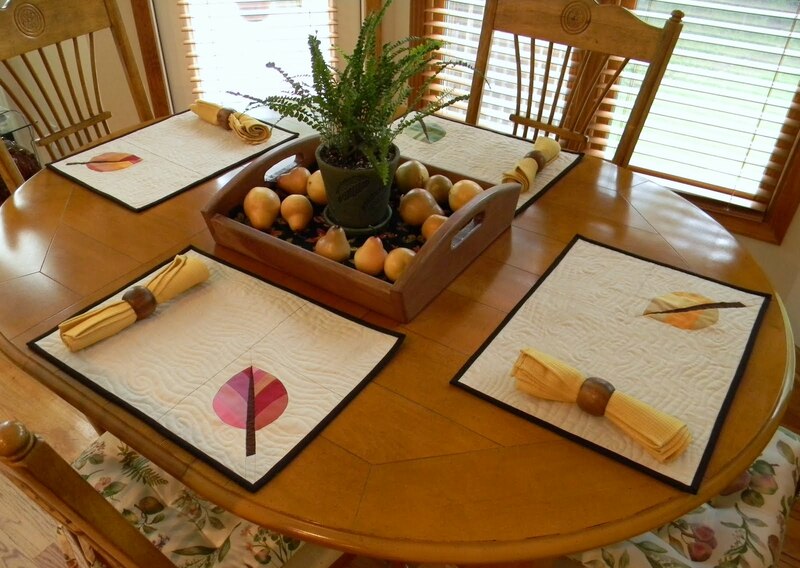 The cross weave is perfect for this. You want to use some type of solid, because pojagi is reversible. 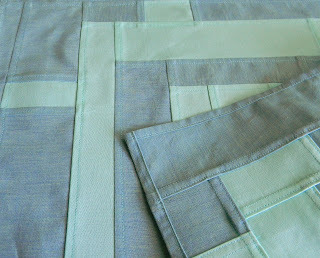 All the raw edges are enclosed, and it is not layered with batting or quilted. 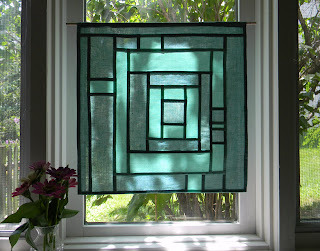 So, it's perfect for window panels, table runners, light scarves, you name it. Here you can see the front and the back. There will definitely be more pojagi in my future. If you'd like to see some authentic Korean pojagi, search for the work of Chunghie Lee. Orange, pink, purple - this color combo has been on my mind for a while now. Time to make something with it! 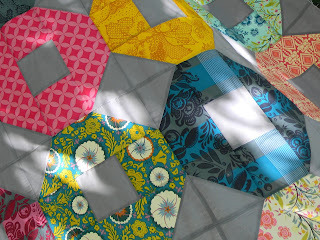 I finished piecing the top. 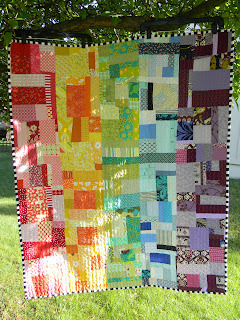 This is a big, twin sized top (60 x 90), so I'm pondering how to quilt it. 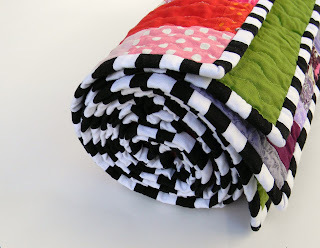 This quilt was completely inspired by Jolene's quilt, down to the striped binding. 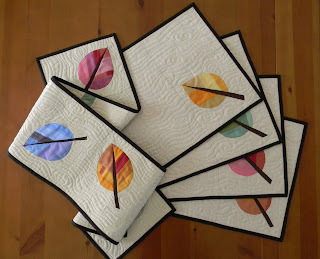 She is one of my favorite modern quilters. 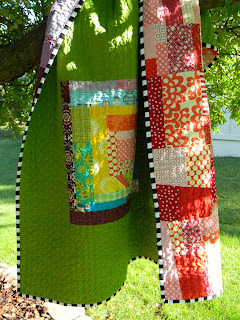 You should check out her work on her blog Blue Elephant Stitches. I oriented my stripes of color vertically, instead of horizontally though, and of course, every improvisational quilt is unique. 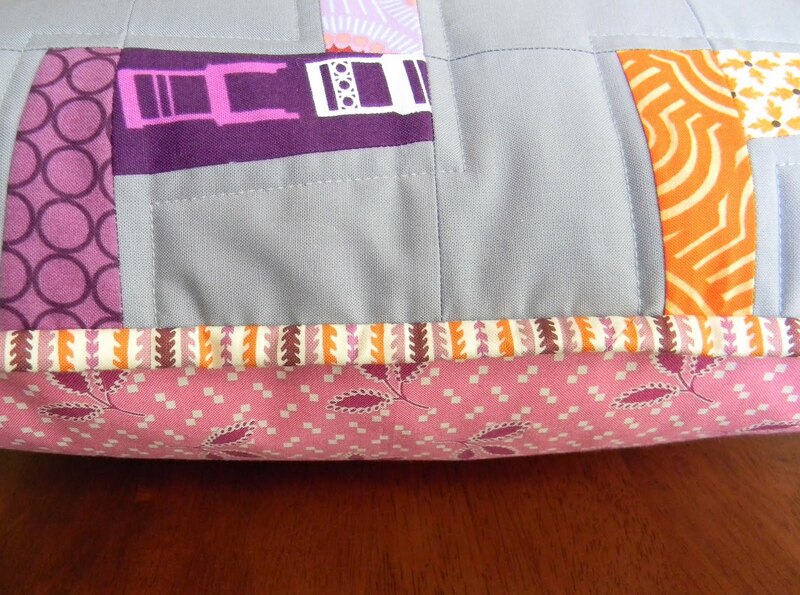 I only used scraps for the top. 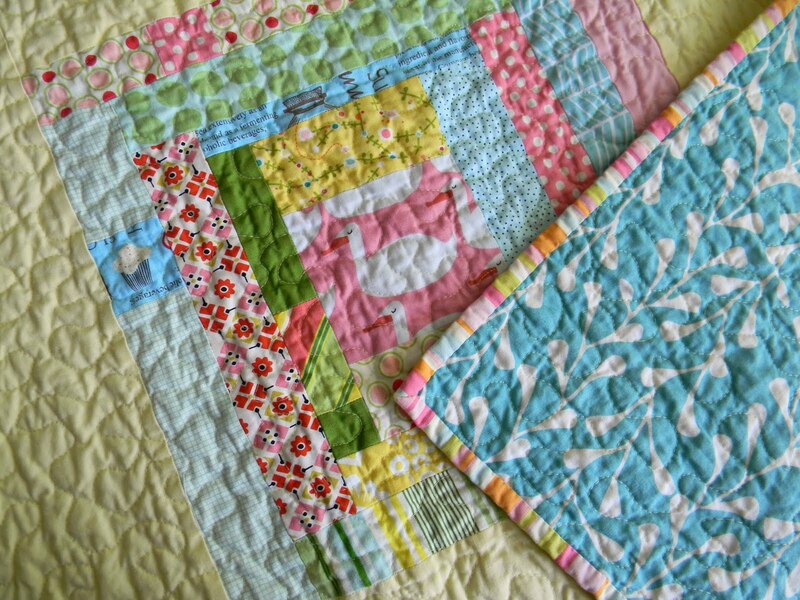 Think of the quilts that could be in your scrap bins! 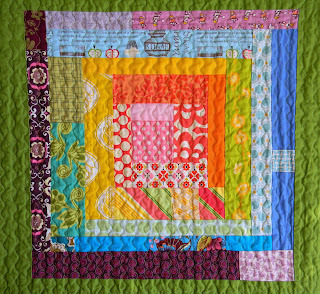 The back of the quilt features the modern log cabin block I made at Improv Studio which began my whole current compulsive log cabin making. I surrounded the block with Kona grass. I have noticed that very few of my recent quilts make use of a white solid. It's fun to use other colors as neutrals. 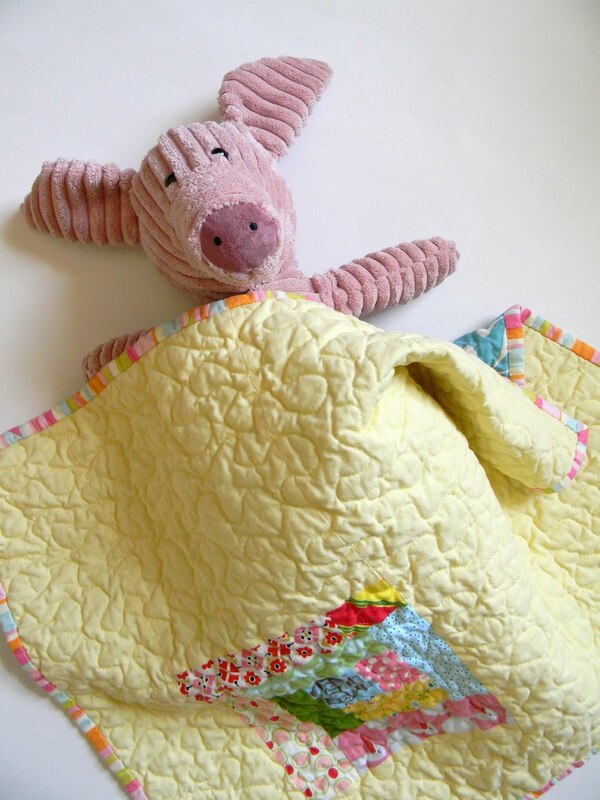 I quilted it with a decorative stitch which I changed slightly by widening it and increasing the stitch length, as I've done before. It's quick and easy, and I like how it sort of disappears while still adding texture. 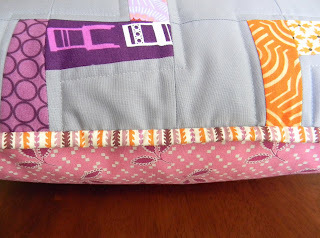 I used a green thread in the bobbin to match the back and a tan thread on top to blend with all the prints. 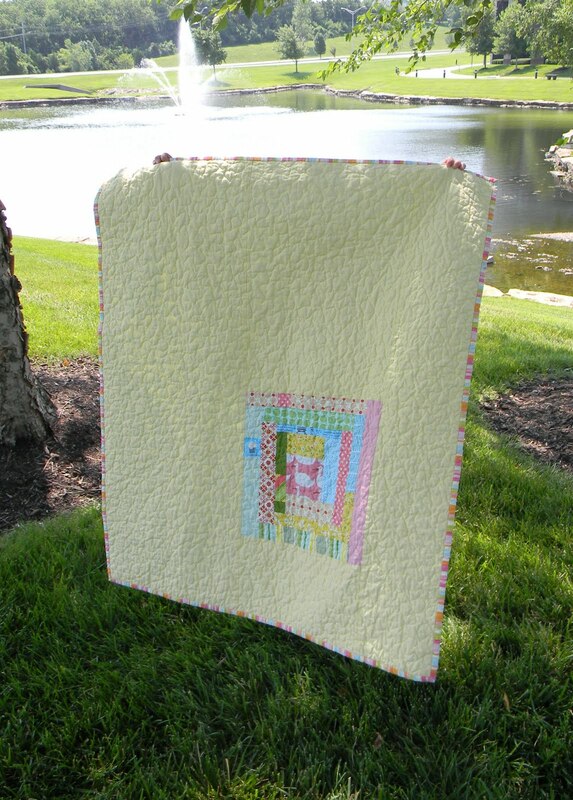 This quilt is 40 x 48, and I hope it comforts some little person a lot. It's going to Project Linus. It all started with Lauren's Improv Studio at Harper's. 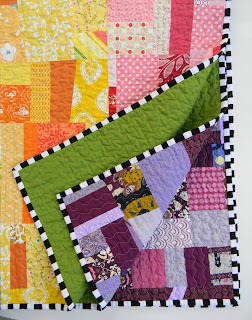 Checkout the great gallery of modern log cabins she showed us at the start of class for inspiration (warning, you may become obsessed with making log cabin blocks after viewing these). 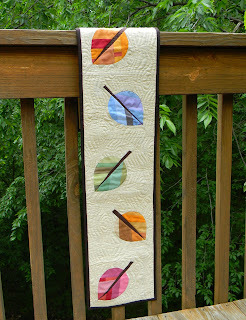 I spent the rest of the night making a log cabin block for the back of my rainbow quilt. 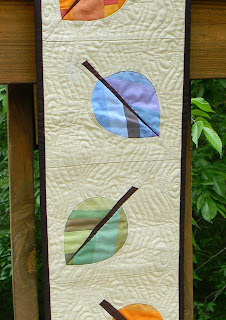 When I made the back, I thought, "this design needs to be a quilt front." 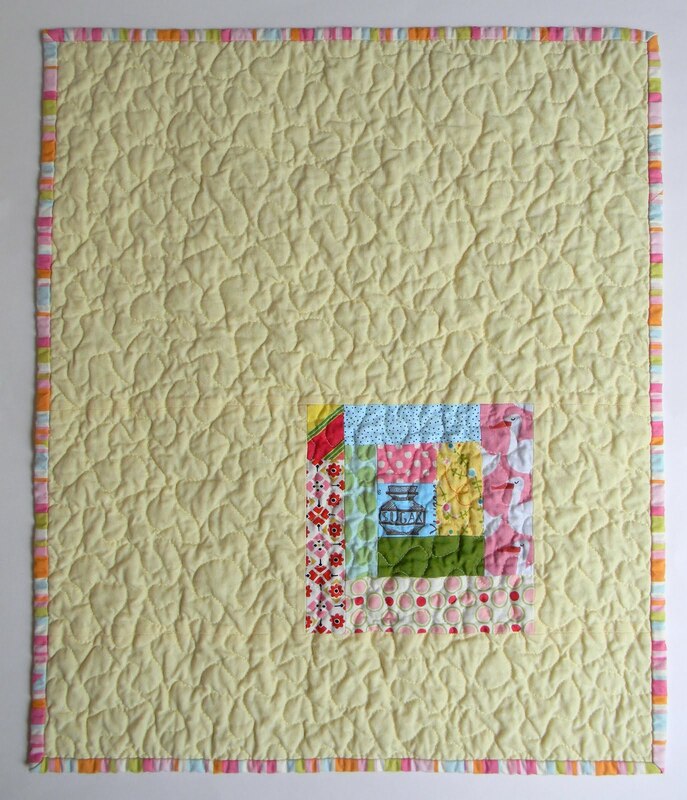 So, using summery fabrics, I made this baby quilt and matching doll quilt (because something this cute needs to have a tiny version too). Isn't the duck print fun? It's from Red Letter Day by Lizzy House. The yellow solid is Kona Maize, and the binding is the, sadly, out of print, Meadowsweet stripe by Sandi Henderson. 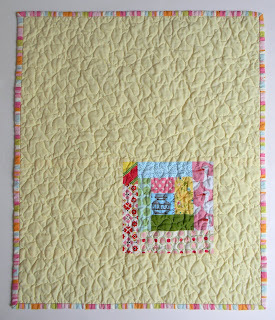 The baby quilt is in my shop. 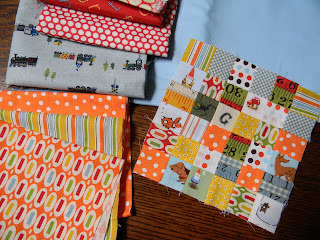 I may or may not have plans for a boy log cabin quilt. They are really fun to make.